It's Katter the Pillar's birthday, and the Beat Bugs are ready to party! Everyone is having a great time except for the birthday girl. The Beat Bugs know that growing up can be scary, and they're determined to help Katter see the exciting surprises that change can bring. 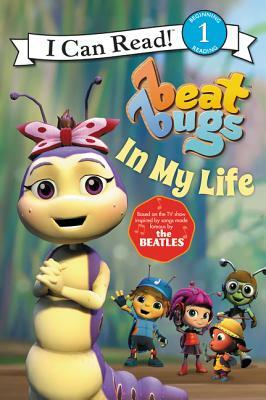 Based on the brand-new Netflix original show, Beat Bugs, and inspired by the hit song “In My Life,” this I Can Read story highlights the importance of friendship and embracing who you're meant to be for young readers. Beat Bugs: In My Life is a Level One I Can Read book, which means it's perfect for children learning to sound out words and sentences.